Gallia County Commissioners present the official proclamation to EMS Director Larry Boyer along with some of the paramedics. Brandon Lasseter was named paramedic of the year for his work going above and beyond the call of duty in improving the service of Gallia EMS. 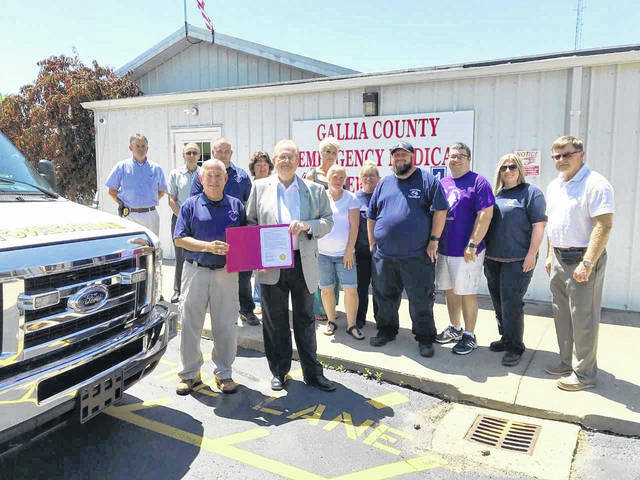 GALLIPOLIS — The Gallia County Commissioners sought to honor those who give of themselves everyday in recognition of National Emergency Medical Services Week. An official proclamation marked the week of May 20-26 officially as EMS week in Gallia County. According to the proclamation, EMS serves as a vital public service offering 24 hours a day life saving medical care to anyone in need. The commissioners stated that, through offering emergency medical services seven days a week the survival and recovery rate of those who experience sudden illness or injury significantly improves. As part of the day’s events, paramedic of the year for Gallia County was also named. Brandon Lasseter was chosen by EMS Director Larry Boyer for his time and service at Gallia EMS, providing outstanding service to the citizens of Gallia County. 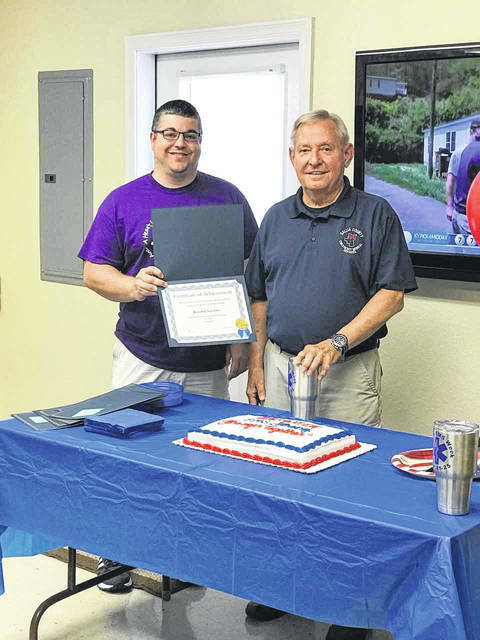 Lasseter, a 10 year employee at Gallia EMS, was grateful for the award. “We have some of the best Paramedics and EMT’s I have ever worked with. The care provided by all of our crews is top notch. It was definitely an honor to be recognized as paramedic of the year,” said Lasseter. The commissioners ask that everyone honor EMS week in a way that honors and respects the work and sacrifice of emergency personnel.